Price in menu will be $250.00 for the 1st guest plus the amount shown for each additional guest. SKU: LONGSPEAK. Category: Guided Longs Peak Trips. 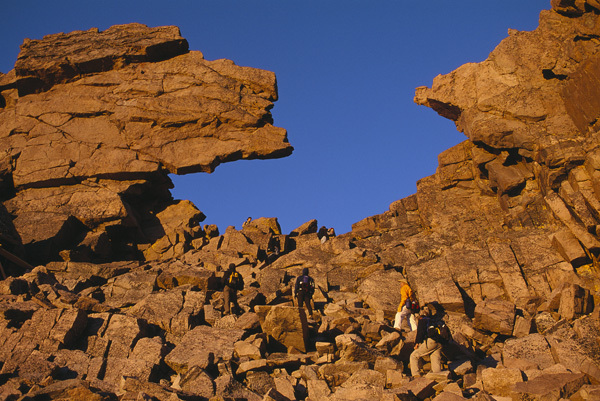 The optimum time to reserve your Longs Peak trip is from the last week in July to the first week in September. If reserving an overnight trip, please give us as much advance notice as possible, as the sites in the boulder field book up very quickly! This trip begins at 2 am and includes experienced guide, transportation, breakfast and lunch. Please call for additional person rates if group over 6.